Writing short stories is both a science and an art. You need a certain amount of skill but you will increase your chances by studying your market and learning what magazine editors are looking for. It is not always obvious. "How to Write Short Stories" will take you as a would-be writer through the tricks of the trade by: helping you discover what the different magazines are looking for and how to think up ideas to suit; demonstrating how you can write different slants, such as twist in the tales and feel-good stories; and, advising on how you can win fiction competitions. 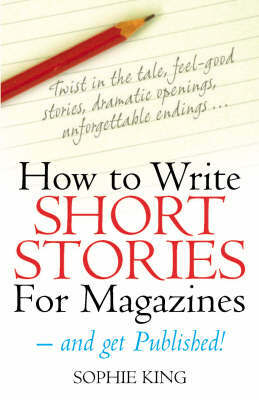 "How To Write Short Stories" is packed with tips, quotes and inside angles from magazine editors and relevant experts.